HTC Scribe is rumored to be the name of the tablet that HTC Corporation is planning to launch. 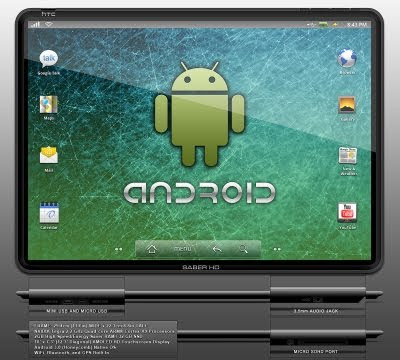 According to various sources, it is claimed that HTC will announce this tablet in the year 2011 and it is expected that they will do it during the Mobile World Congress trade show that is expected to take place in the month of February 2011 in Barcelona. HTC Scribe is set to lunch first tablet ever of its own product and hence there is a high expectation about this tablet offer and what is going to make it different from many other tablets that currently exist in the market. HTC has not revealed much about this tablet hence though it is expected that HTC will offer a good product just the way they have been doing with their mobile phones. It is also expected that this tablet will be available in various markets in the world such as India a few months after it has been officially launched. Currently, there is no much information about this tablet’s features but it is expected that the tablet will have a dual core processor to make it fast and efficient to meet all the requirements of a user in an instant. It is also expected that the HTC Scribe will come with a screen that has a resolution of about 1280 x 720 pixels and it will support many colors. The tablet will be 7 inches in size and it is will run on Android version 3.0 operating system which will ensure the tablet has efficient functionalities. 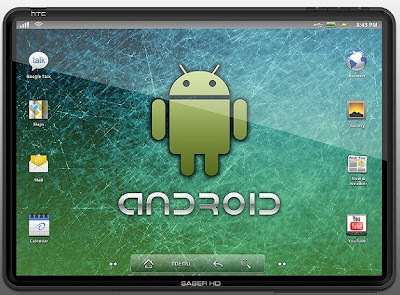 Others also say that Scribe will run on Android version 2.4 hence we can only wait for the official word from the manufacturers of this tablet. There is still not much information about HTC Scribe but the suspected sneak preview of the specifications give a rough idea of what it features such as an NVIDIA Tegra 2 processor, 2 gigabytes of random access memory (RAM) and 32 gigabytes of micro SD storage to offer users enough space to get their work stored. HTC is a new entrant in to the mobile manufacturing industry and going by what this company has offered so far we can only say that they are as good as other players who are in this field. HTC Corporation is the company behind all this. It is a Taiwan based company that deals with manufacturing smart phones and now they are trying to get in to the tablet manufacturing.